But this time with ouzo. And a bottle of 2012 Sigalas Assyrtiko which was an astonishingly beautiful wine. 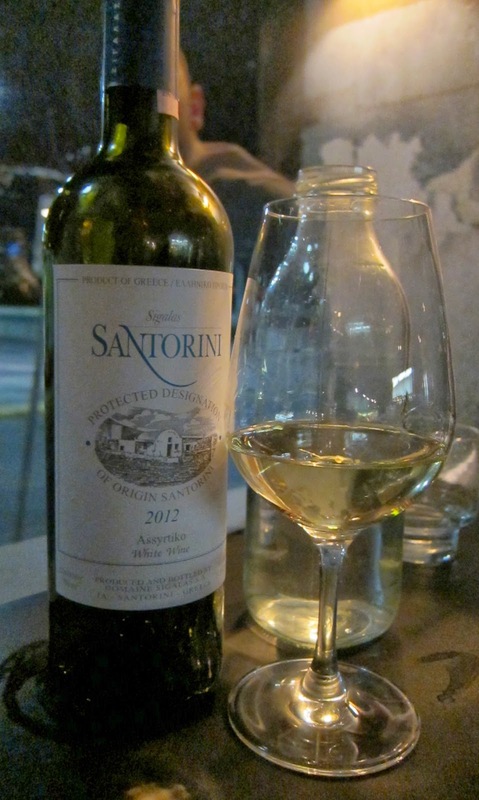 Assyrtiko is a native grape variety to Santorini, where the winds are so strong that the vines are often trained into basket shapes and the grapes grown on the inside to protect them from the wine. This is a fantastic grape variety producing wines that are richly concentrated, highly perfumed (I'm a sucker for aromatics), with naturally high acid and remarkably high alcohol (14.5% in this case, yet it didn't taste 'hot'). On the nose it had floral notes, orange oil, hints of coriander, poached spiced pears, grapefruit, almonds, fresh pine- it just kept evolving. Followed by a gorgeous textural mouthfeel, richly concentrated with more citrus, and waves of minerality. This might actually be my new favourite grape variety. I know, big call. Not the prettiest dish you have ever seen and hard to photograph favourably but it was a perfect accompaniment. Fresh and clean and crunchy with some lovely salty, herby tanginess. Just gorgeous. Loukomathes are a childhood favourite. In fact when I lived in Brisbane I used to consider going to the Greek festival, Panyiri, just for the loukomathes. Also known as Greek honey puffs, they are essentially doughnut holes but a little lighter in texture, topped with gooey honey syrup and nuts. Gazi ups it a notch with Nutella honey. Inspired. And when you tap it it cracks open to reveal a decadent white chocolate sorbet, sweet fruit and dollops of lemon curd. So much fun! Mastic 'musk sticks' and nutty turkish delight. These little treats were so good I would seriously consider just having them for dessert (after I have worked my way through the rest of the menu). 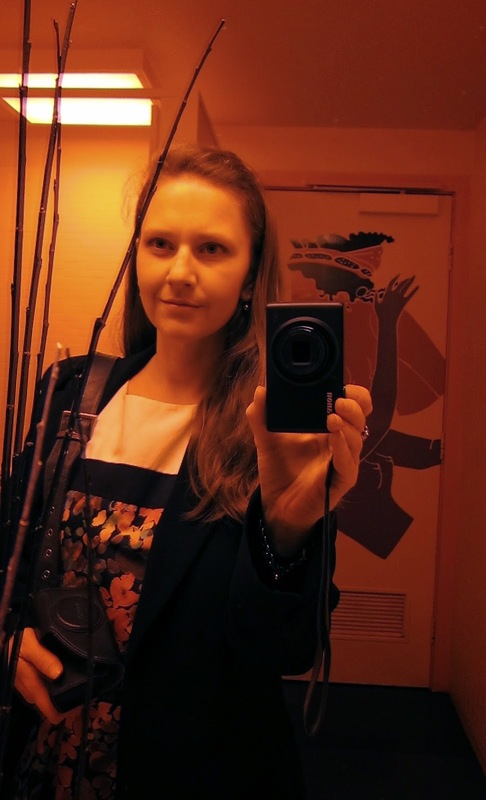 I do love the pink lighting in the ladies room- it gives me a wonderful mediterranean glow. Yes, that is a bathroom selfie. Staying classy. I need to give an extra special mention to the service. The staff are friendly, efficient and knowledgable, whilst maintaining a comfortable casualness to fit the vibe of the restaurant. It is however when something goes wrong that true colours are shown (and Gazi's true colour is gold). I booked online in January, requesting one of the window tables (nice view and a little quieter). I confirmed this booking the day before but somehow the (external) booking service stuffed it up and there was no record of my booking upon arrival. After some quiet discussion we were seated at a free table in the middle of the restaurant. I mentioned to the waitress about my booking and special request; she was very understanding and after a quick discussion with front of house, moved us to one of the coveted window tables. It is this kind of service that elevates a restaurant to the next level. bathroom selfies are never a bad idea!! i really want to try souvlakakias my housemate always raves about it.